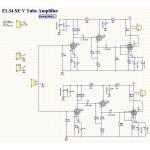 This EL34 SE amplifier employs common pentode EL34 vacuum tubes for the class A amplification with 6SN7 / 6SL7 as the input stage. The 6SN7 tubes are configured as two cascading stages, the common-cathode and cathode follower, respectively. 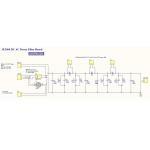 The output power can reach 10W for each channel. 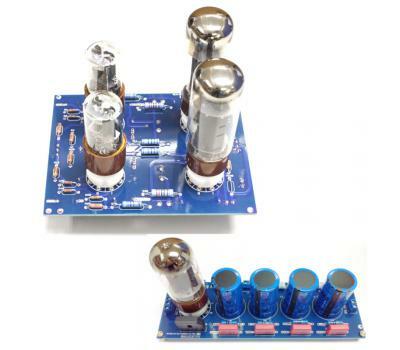 The B+ voltage is supplied by RT400 tube voltage regulator kit which can be configured as either tube rectifier or solid-state rectifier. 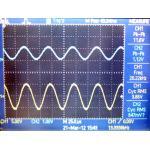 The filament voltage can be supplied either AC or DC voltages. 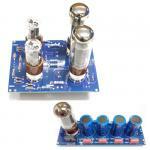 For filament voltage with DC voltage, a LV30B-5A low voltage regulator kit is required. 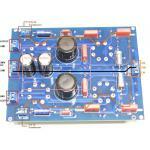 PCB thickness: 2.4mm, double layer, 2oz copper.